Americans have been through a great deal in the last two decades. 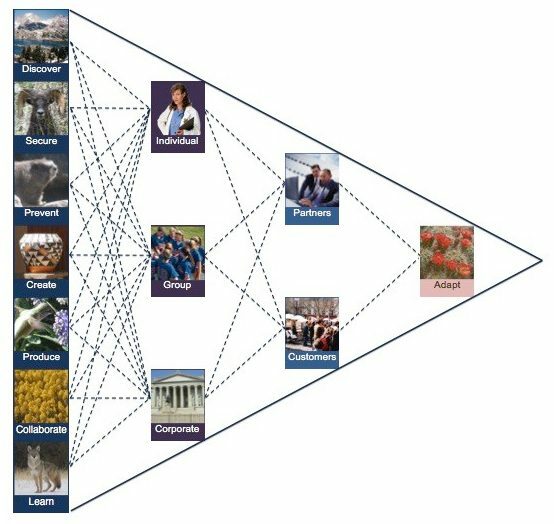 In addition to the network effect that consolidated wealth in a few zip codes, we endured rapid globalization that benefited other nations at the expense of our own, the 9/11 terrorist attacks, multiple wars, and the global financial crisis, all within the first few years of this millennium. To put this series of interconnected events in perspective, the collective shock is roughly comparable to the impact of a small super volcano, a minor asteroid, or a limited nuclear war. Catastrophes of this scale are thought to be of sufficient size to change the course of modern civilization, depending of course upon our response. The most recent CBO report forecasts the U.S. federal debt at 150 percent of gross domestic product in 2047, which would place the U.S. as the third most indebted nation in 2017 between Greece and Lebanon. This is obviously not where the U.S. wants to be in 30 years. Fortunately, such a decline is unnecessary and well within our power to avoid, though the path is narrow and hazards are many. Catching up on deferred maintenance is a necessary but insufficient plan for the challenges facing Americans. A modern strategic infrastructure plan should be focused on unleashing the current national economy similar to previous eras with the intercontinental railroad, interstate highway system, or electric grid. AI systems can substantially resolve many of the destructive forces and high-risk areas facing the modern economy, including the ability to provide far more effective governance in a highly complex data-driven world, prevention of most types of human-caused catastrophes, improved workplace productivity, more effective security, and reversal of the dangerous trajectory in healthcare costs. In order to realize the full potential of a national intelligent infrastructure strategy, it must be planned in a highly specific manner. Intelligent infrastructure is driven by physics and engineering, which can be easily damaged by misguided or corrupted politics. The value of AI systems is substantially dependent upon the availability and integrity of data. Important priorities include but are not limited to interoperability, security, privacy, business modeling, cost of ongoing maintenance, and adaptability for future innovations. The combination of technical viability in AI systems with the current macro economic scenario has created a perfect storm for public-private partnerships. Funds with trillions USD under management are in search of improved yields in mid to long-term bonds that offer lower risk profiles and diversification, which allows risk transfer to investors for specific projects rather than tacked on to an unsustainable national debt trajectory. Moreover, the combination of intelligent infrastructure with AI systems can improve productivity, provide attractive return on investment, and create new high paying jobs that will be competitive far into the future. The federal government should act as the policy and standards body to avoid hard lessons learned in previous national infrastructure programs. A plug-and-play architecture is needed that encourages economic diversification in all states, fosters new business formation and new wealth creation that has the capacity for reversing the increasingly historic wealth gap. In today’s fast moving hyper competitive world, the U.S. cannot afford to wait a century to unravel the type of monopolies that were cobbled together during the formation of the electric grid. The network economy increasingly represents the entire economy so must be as diversified and dynamic as society if to remain healthy and sustainable. If the Trump administration and U.S. Congress seize this historic opportunity for a strategic intelligent infrastructure plan, they should find bipartisan support as it can positively impact every zip code in America, which could serve to reunify the nation around common good. Executed well, a strategic intelligent infrastructure plan can serve as a solid foundational platform to solve many of the current and future challenges facing America and the world.